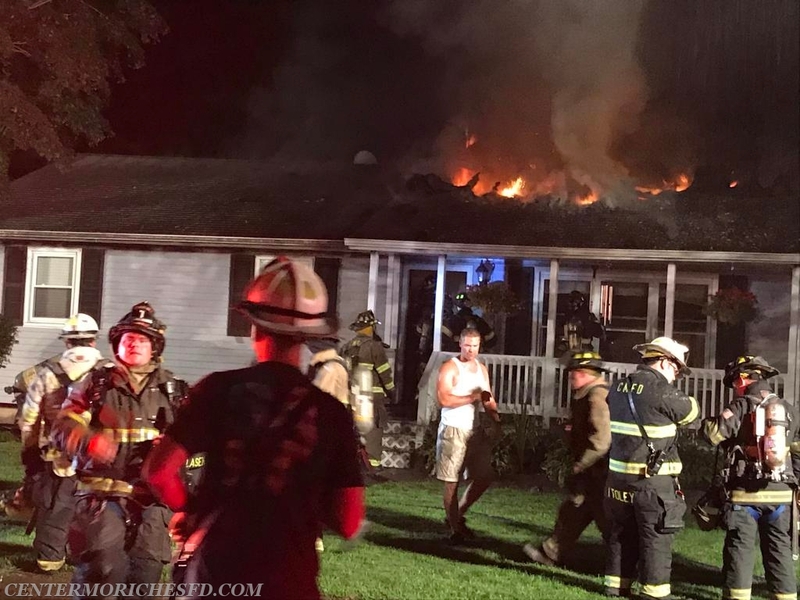 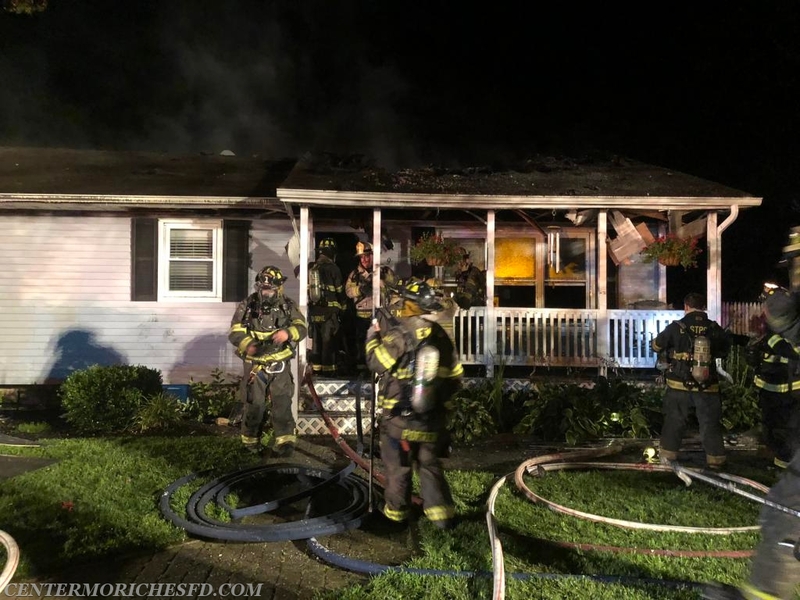 At 9:23pm on Sunday, Center Moriches Firefighters were requested to assist the East Moriches Fire Department at the scene of a residential structure fire on Wilson Avenue. 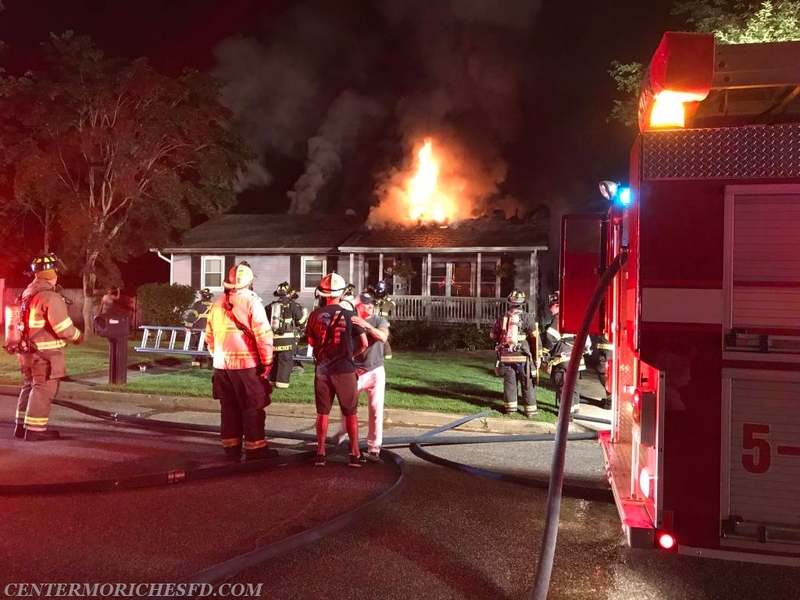 Center Moriches Firefighters were requested to respond to the scene with a tower ladder. 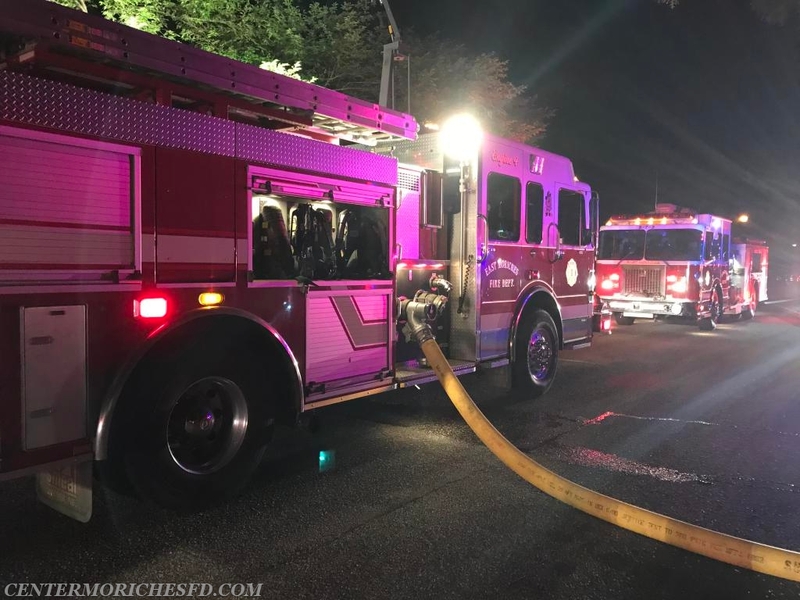 Once on scene firefighters assisted with search & rescue and overhaul operations. 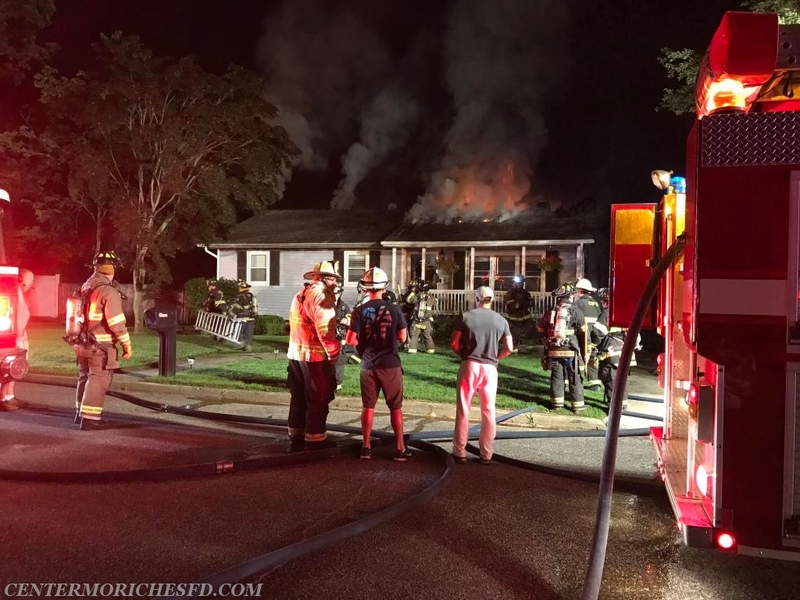 Center Moriches Firefighters were back in service within 90 minutes.